Welcome! I am Vinaya Saunders, owner of VINAYAM. We Remove Issues From Your Tissues! Although I work with people of all ages (“from cradle to grave”) who have a wide variety of conditions, there is a special place in my heart for women who need fertility enhancement. I am creator of "From Infertility to Delivery ~ Your Little One Is Waiting.” I enjoy working with women who are in their late 30’s and early 40’s who wish to conceive, but who have counterproductive concepts about themselves, often accompanied by high anxiety on the subject of childbirth and having children. I have had great success in transforming the thinking of women through my techniques which help them Stress Less and Heal with Ayurvedic Remedies for Body, Mind, Spirit, and Emotions. But, I don't just work with the women who have hard time conceiving, I work with the couples who want to pursue planned conception. Some of them now have had the children they wanted so much. As a master healer, I love helping people develop confidence, clearing issues from their tissues. As a highly sought-after public speaker, I have been able to inspire many and have led meditation events at the White House "wellness week." I am also a prolific writer and frequent contributor to Cure Joy (www.curejoy.com). Please follow me, so you are "in the inner circle" when I publish two e-books. Here is a Brief Summary of my Background. In Bangalore India, as a child born into a rigid Hindu Brahmin family, I was only 11 years old when I learned my first yoga practices. My life has been like many lives lived in one lifetime. 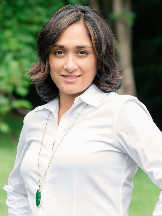 I was an engineer, then an interior designer, and a mother of four before establishing VINAYAM to help people Stress Less and Heal with Ayurvedic Remedies for Body, Mind, Spirit, and Emotions. To not only survive, but to thrive, I had to emphasize self-nurturing. Also, it is important to be a living example for my kids in this age of media exposure and negative influences. My mission is to keep Ayurvedic and yoga traditions and culture alive for my children and to teach others in the United States about ways to help them heal themselves without drugs and in accordance with the proven techniques of Ancient Wisdom. Thus, I became a teacher of yoga and Ayurveda. Master healer in Reiki, Karuna Reiki, SSR and IET modalities. For more than 10 years, VINAYAM has provided yoga instruction and meditation lessons for people from beginners to advanced yoga practitioners. Clients range from middle school and high school students to adults through senior ages. VINAYAM also presents classes at many reputed clubs, studios and Federal companies.